SUPER-SHORT. Tip Sheets are super-short guides (2 - 4 pages) to quickly solving common parenting challenges (see list below). They save you time, getting right to the point with only the information you need. STEP-BY-STEP GUIDES. Tip Sheets give you step-by-step guidance to handle the everyday challenges of life with kids, such as power struggles, whining, back-talk, and getting kids to listen. LOW COST. You can purchase Tip Sheets "a la carte" for $3.99/each--or buy all 5 for the price of 3 (save 40%). INSTANTLY AVAILABLE. Download them now. SCIENCE-BASED. Written by psychologist and best-selling author Dr. Erica Reischer, who's work has been translated into 10 languages. Read reviews of Dr. Erica's work or her qualifications. 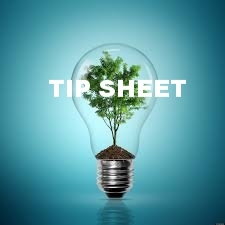 Have an idea for a Tip Sheet you'd like to have? Contact us. To purchase the Tip Sheet Bundle and save 40%, scroll down to the last item. This Tip Sheet is a convenient tool to have on hand when those tricky situations arise--like reinforcing a bed time, turning down a request for a new toy, or transitioning out of play time--and you want to avoid a power struggle. Get this Tip Sheet FREE when you order Dr. Erica's best-selling book "What Great Parents Do." Here's how. This Tip Sheet will show you how to use consequences to facilitate learning, avoid power struggles, and keep the peace. You will learn the 4 things you need to keep in mind and how to give consequences that work. When kids ignore or resist our rules and requests, we risk getting into a power struggle, which almost always makes the situation worse. Instead, use these 7 strategies to move away from conflict, and bring more ease and joy into your family life. This Tip Sheet will help you understand why kids whine, and what you can do specifically to minimize it. You'll learn 3 steps, based on research, that will get your kids to cut the whining.